Yesterday marked the start of National Inclusion Week 2015. We’ve been thinking about some of the great work our partners do to give everyone in the workplace and beyond the same opportunities to access the internet and learn basic digital skills. 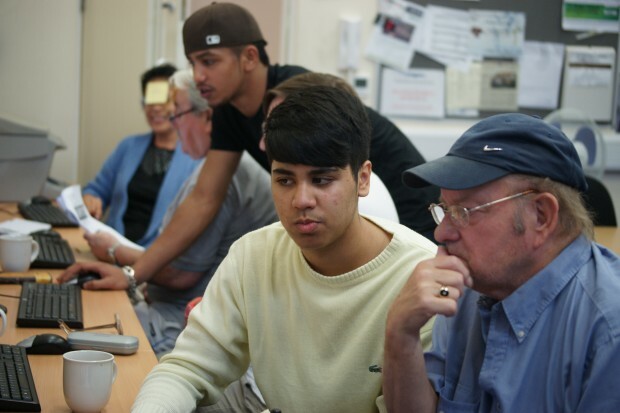 The Rooted Forum (TRF) signed up to our Digital Inclusion Charter earlier this year and was founded in Shadwell by local residents in 2007 to provide a truly holistic service for the community. Its staff and volunteers all live and work in the area. Senior Manager, Nur Choudhury, recognises that the challenges facing people in Shadwell are not straightforward. It’s a mix of things. We are in an area where crime is well above the national average. We have high levels of poverty and unemployment, and low levels of educational attainment. Multiple, complex challenges require a whole range of solutions and support services. 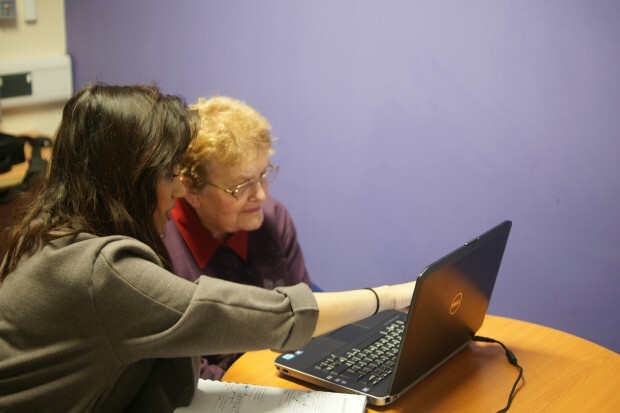 On the surface, it’s a project which involves some of the younger people teaching older residents how to use the internet, but that’s just the start. These sessions act as a medium for forging mentoring and befriending relationships. The older people share experience and life skills, while the younger people show how transformative the internet can be for health, wellbeing, finances, communication and social interaction. New job opportunities open up, isolation is reduced and sections of the community, all too often separated by generation, become connected. Many of our partners run projects like this and support initiatives like Digital Friends. This blog shows how simple it is to get involved and how, in a really informal way, you can help someone discover all the advantages the internet offers. A truly inclusive project, Bridging the Gap shows us that supporting colleagues, friends and neighbours with basic online skills benefits not only the learners, but the volunteers themselves as well as the wider community.